The Sir Thomas Playford ETSA Museum is all about the story of electricity in South Australia. The Electricity Trust of South Australia was for many years the company responsible for generating electricity in SA, and delivering it to your home through the power network. 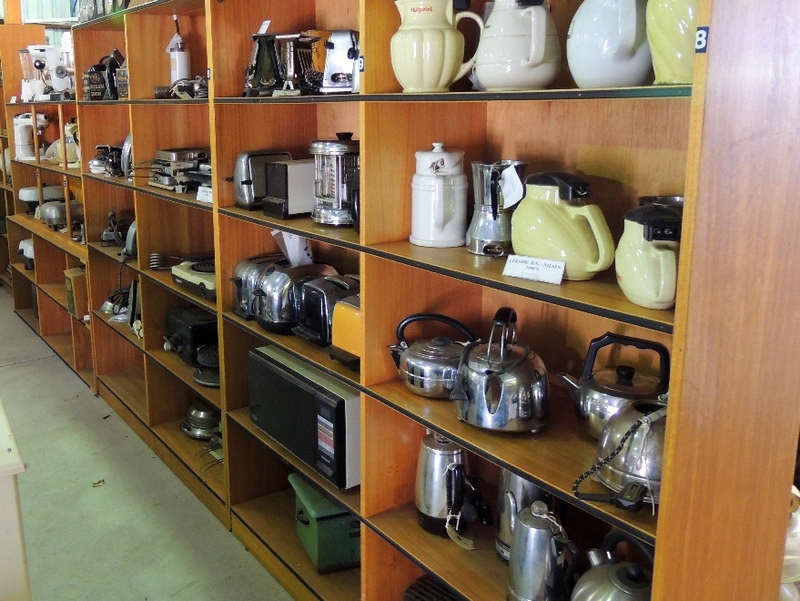 Like other utility companies today, ETSA also sold and serviced domestic electrical appliances such as stoves. ETSA was created when Liberal premier Tom Playford took the unusual step of nationalising the Adelaide Electric Supply Company (AESC) in 1946. The AESC was a private company holding a monopoly on electricity production in SA, and it had consistently refused Playford's requests that they use SA brown coal rather than black coal from interstate and overseas. ETSA then successfully supported SA over decades of strong growth when manufacturing industries such as the motor industry were a significant part of the SA economy. But the collapse of the State Bank in the early 1990's brought great pressures on the State Government. 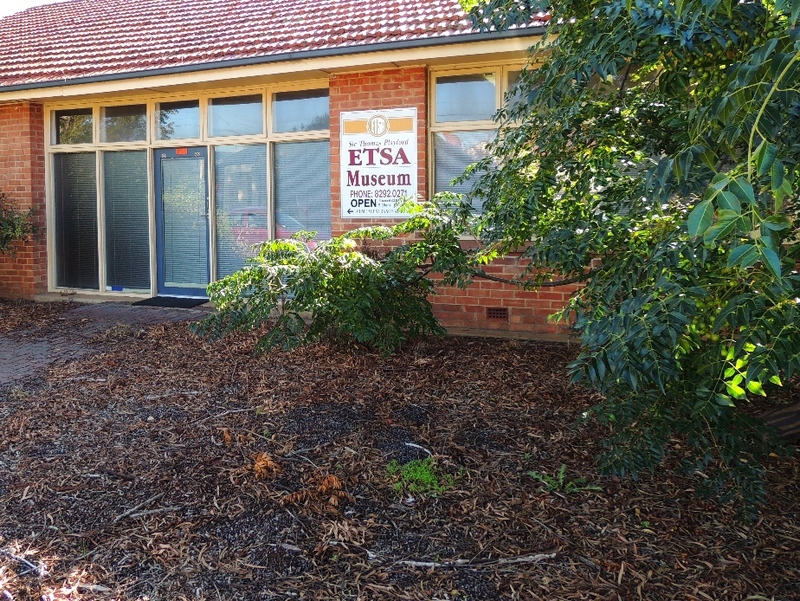 Perhaps ironically, it was a Liberal government that later privatised ETSA in 1998, splitting its business between companies including AGL and ETSA Utilities. Its workforce at the time was around 2,500 people, and the ETSA Retired and Past Employees Association maintained strong links with former staff even after people left the company. 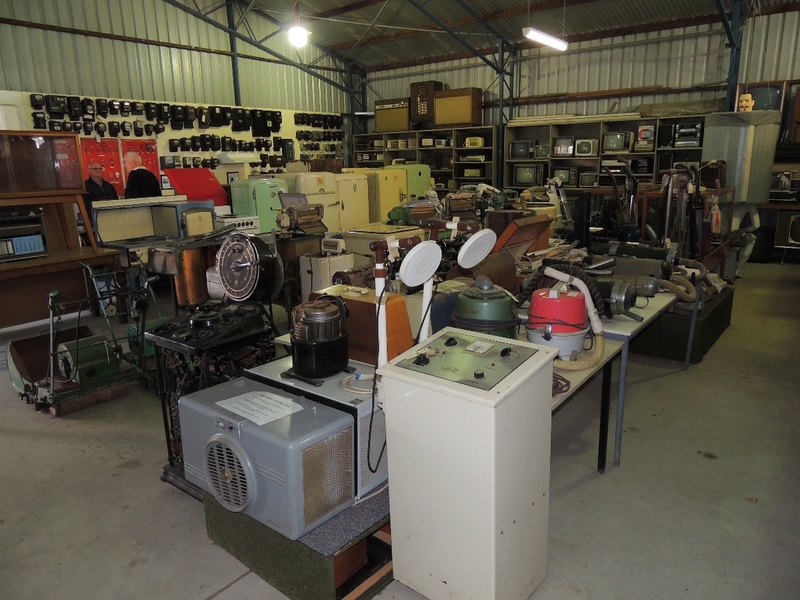 The Association is now the proud custodian of the ETSA Museum, and strives to keep alive the history of electric power in SA. 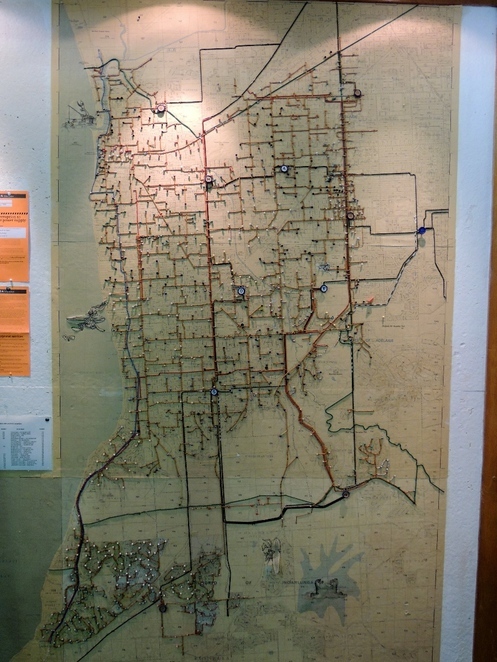 But the Museum is very much a living institution, not a dry collection of historical facts. When I arrived there were several volunteers happily painting the exterior of a building while engaging in banter between themselves. A tour guide was found for the small group who had arrived about the same time for me, and we set off around the museum which is housed in a couple of buildings. 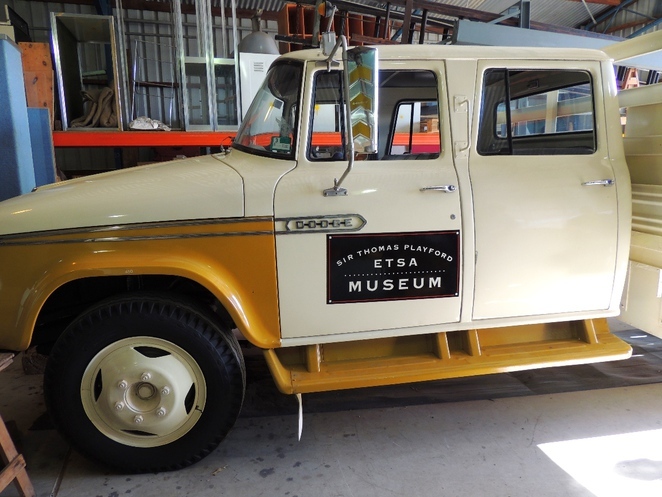 I was surprised to see a 1950 Morris van in Adelaide Electic Supply colours, and also a 1962 Dodge ETSA linesman's truck as we entered the first shed. Nearby were a World War 2 fire appliance and ETSA mobile rescue trailer. At the rear of the shed were things which would be familiar to electricians and people with some electrical knowledge, such as a large collection of insulators collected over decades. Maps of the metropolitan area with many coloured pins showed the locations of transformers around Adelaide so that crews could quickly be directed to problems. 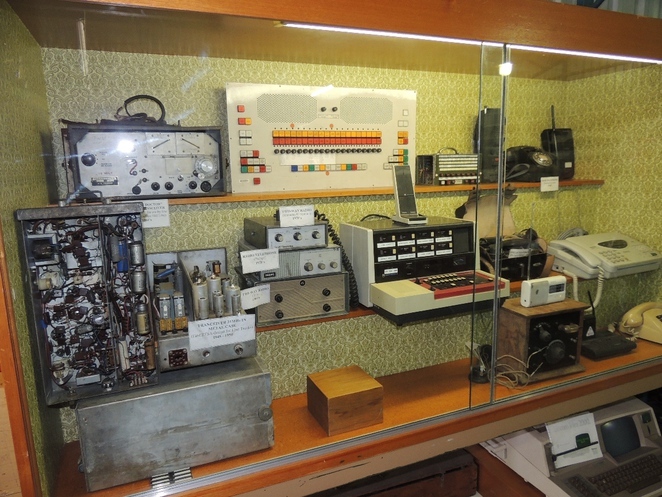 A display case houses communications equipment such as two way radios used from the 1940's to the 1970's, a telex machine, and old telephones. The remainder of the shed was largely dedicated to a huge variety of home appliances used in SA through the decades. 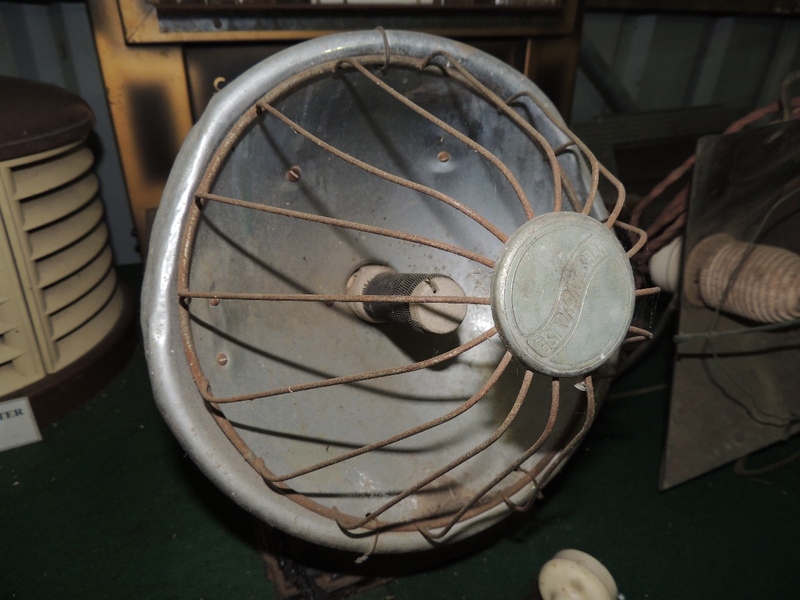 A quaint electric radiator looking like a radio telescope sat near more modern oil based heaters. A Hotpoint Moderne design steam iron was definitely not modern. A line of washing machines with a mangle on top to wring clothes dry made me glad that spin driers were developed - I wonder how many fingers had been caught in the mangle rollers. 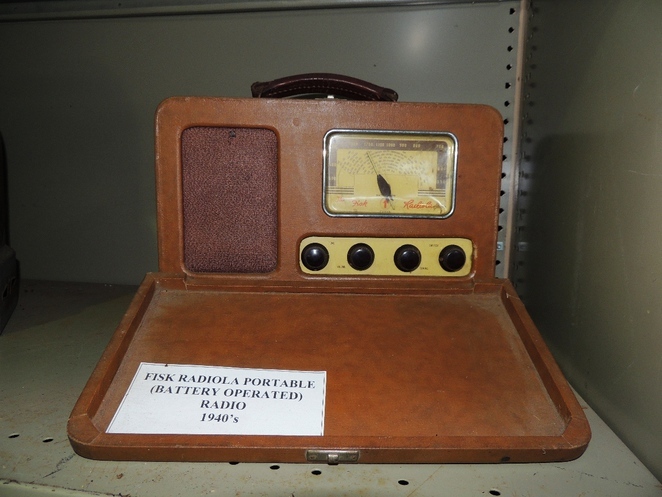 The radio collection is varied, ranging from a portable battery operated 1940's valve model to a large freestanding model with a beautiful wooden cabinet. An old TV was perhaps the most basic I have ever seen, with only four control knobs. Moving on, another building houses a collection of photographs taken with a glass plate camera showing scenes from around Adelaide. A 1945 picture shows the Osborne power station under construction, while another shows its demolition in 1995. An elegant wooden console with cables and meters could have been a telephone switchboard, but in fact was built in 1936 as a DC Calculating Board for the Design Department. 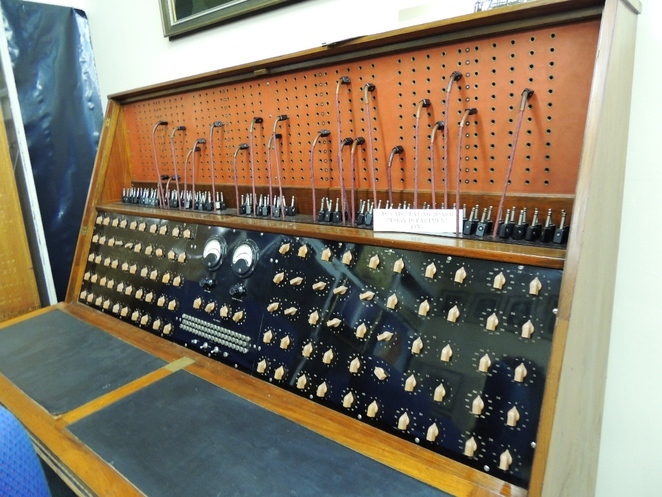 It probably was an early example of an analogue computer. Boxes of old test equipment were beautifully made - finished in highly polished wood, and protected by heavy duty leather or wood carrying cases. 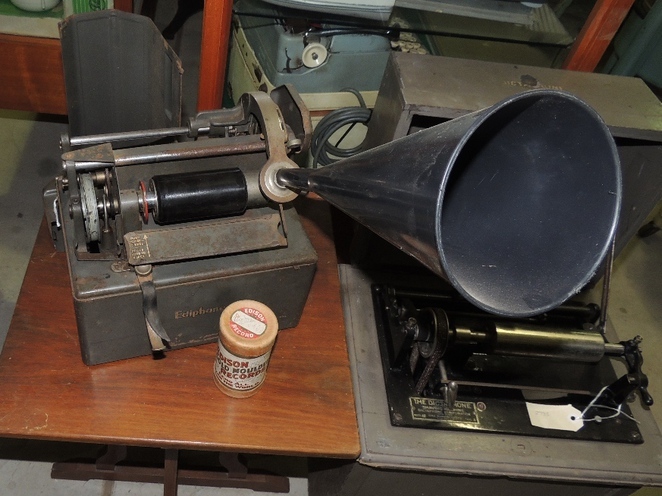 The equipment was not only lovingly made to a high standard, but carefully handled in the field. Our tour moved on to a third building housing heavy duty electrical equipment used in power stations. 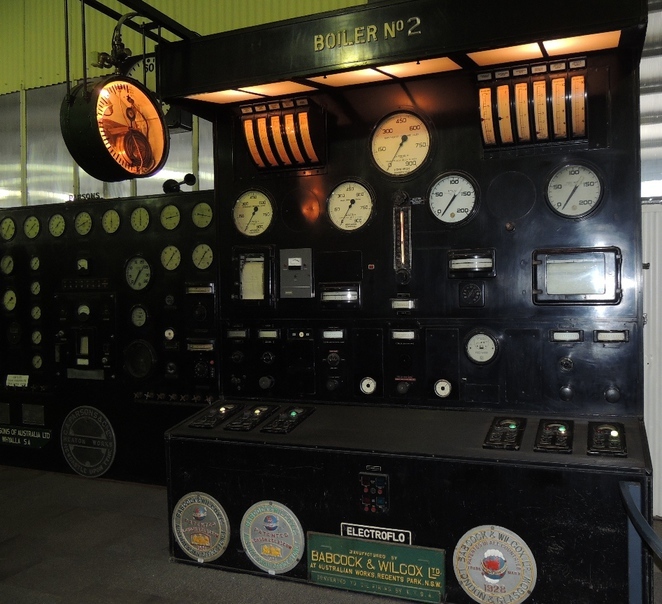 A large motor generator set was used to convert alternating current to direct current, while a huge console with meters was for controlling steam turbines used in power generation. 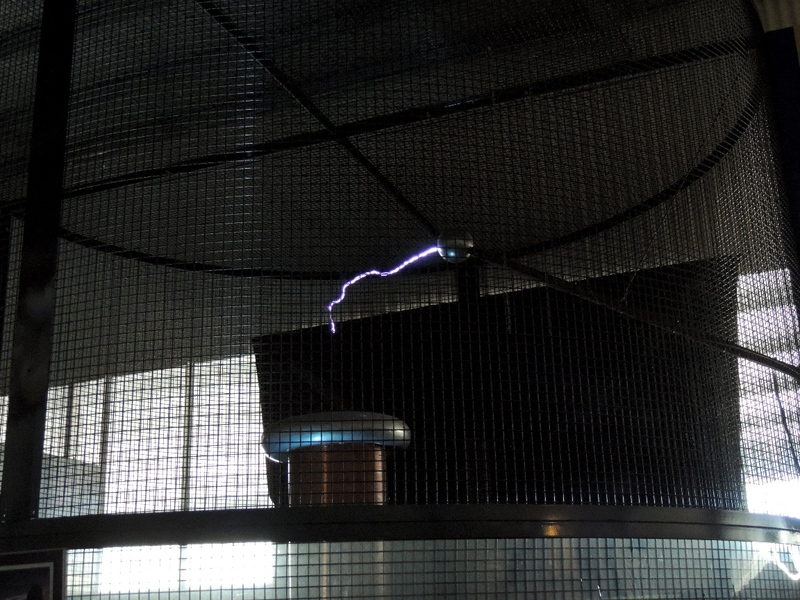 At the end of the tour our guide demonstrated a Tesla coil in operation, generating a huge million volt spark between two electrodes. I think it was the highlight of the trip for both the guide and the tour group. 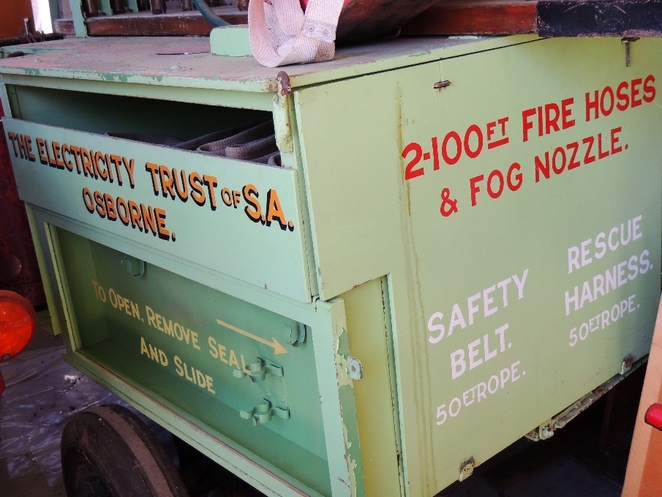 What I liked best about the Sir Thomas Playford ETSA Museum is that it is a living museum. The enthusiasm of the volunteers who run the place is infectious - they are eager to share their knowledge, and are helpful in answering questions. 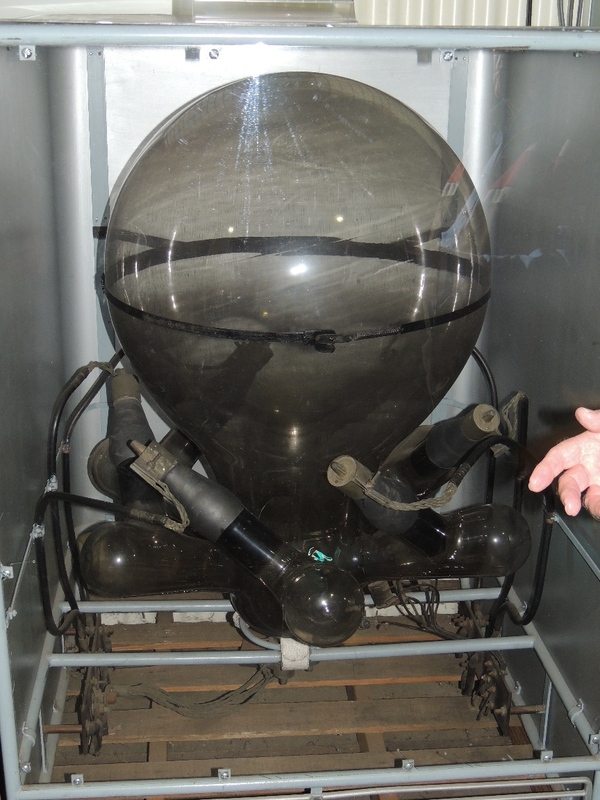 You're free to handle things at the museum, and actively encouraged to make the tour interactive. Take a look and see what you think. It's definitely worth a visit. This place looks interesting; loads of old inventions to discover. Fascinating article. I think this a must for many people. Can you just imagine what one could learn! Wow! Thanks for this article!